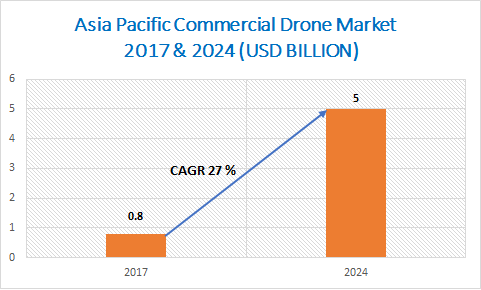 Asia Pacific Commercial Drone Market size in 2017 was assessed to be over 40 thousand units with the market revenue of more than USD 800 million and is projected to grow at a CAGR of 27% over the forecast period. The APAC commercial drone market growth is driven by the increasing investments by the venture capitalists in the drone space. The investment is led by the Chinese players. 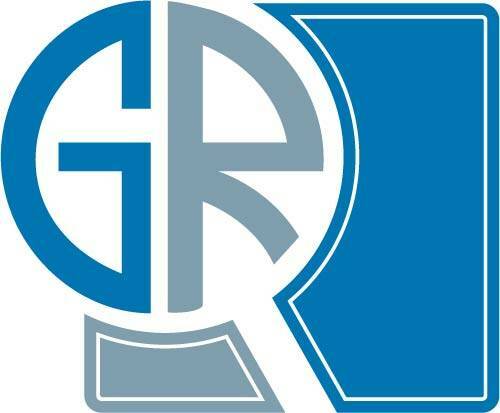 The players are investing heavily in the research and development activities to explore new opportunities and to cater to the growing demands in the market. For instance, in 2015, Intel Corporation and Yuneec invested USD 60 million for the development of more advanced UAVs for commercial purposes. Similarly, Chinese e-commerce giants announced the investments in drones and service robots to improve the logistics of their e-commerce business. The supportive government initiatives across the countries to lessen the regulations on the commercial use of drones are also one of the major factors augmenting the demand for UAVs. Moreover, a decline in the price of the drones is also encouraging enterprises to adopt UAVs for commercial applications. In addition, the presence of the major market players such as DJI, Walkera, Yuneec, and Xiamoi is also supporting the market growth. The APAC commercial drone market share is dominated by the rotary blade drones with the market share of more than 75% in 2017. The rotary bladed drones are widely used in inspection, monitoring, surveillance, and mapping applications due to their high robustness and durability. Moreover, the better flight control and accuracy provided by the rotary blade drones also augment their demand among the enterprises. China is leading the commercial drone landscape with over 50% share in the Asia Pacific market. The growth of the market is attributed to the supportive government policies and initiatives for promoting the use of drones for commercial applications. The rising research & development activities related to the drone industry are also one of the primary factors supporting the market growth. The number of drone-related patents registered has increased significantly over the past 10 years. The number has increased from 84 in 2010 to 1908 in 2015. This number is further estimated to increase during the forecast period due to the increasing investments in UAVs. The market is dominated by the DJI with a share of more than 70% in the commercial drone market. The market players are focusing more on partnership & collaboration activities to expand their product portfolio and to gain market share. For instance, in November 2017, DJI and Menlo Park Fire Protection District collaborated to increase the utilization of drone technology for public safety and welfare. The collaboration was built on the 18-month partnership between both the parties, with the Menlo Park FPD now testing custom-based DJI aerial solutions for emergency purposes. The key vendors of commercial drones are DJI, Walkers, Yunnec, Intel, Xiamoi, Ehang, Parrot, 3D Robotics, Microdrones, Alpha Unmanned System, and Trimble Navigation.